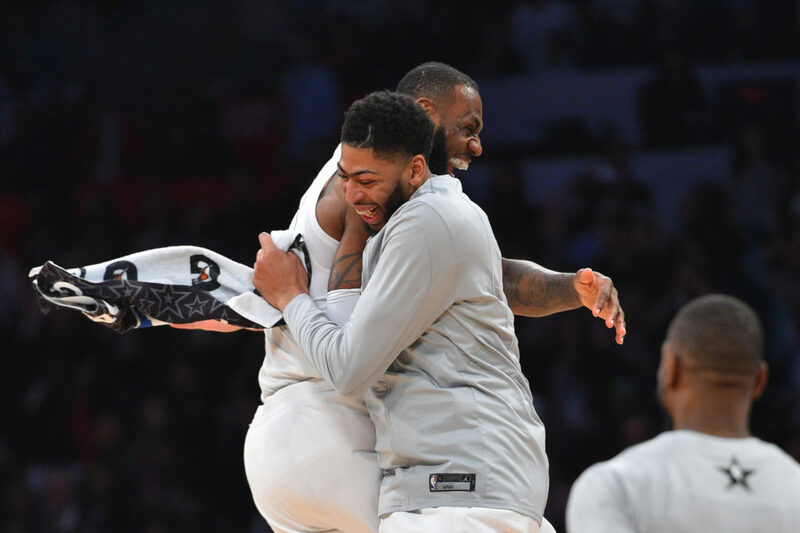 Could the Lakers Really Sign Anthony Davis in the Summer of 2020? The Lakers have reportedly pulled out of Anthony Davis trade talks with the Pelicans. While I have my doubts these two front offices have had their final discussion before Thursday’s NBA trade deadline, let’s get into a thought exercise for a moment. A key variable for why the Lakers are willing to walk away from these conversations now is surely because leverage will only move away from the Pelicans the longer this plays out — and potentially in the LA’s direction. After all, while it is assumed Boston has the potential to make the strongest offer today, there are factors that could weaken their position come July 1st. Be it Kyrie Irving’s future status with the team, the potential downgrading of Boston’s player assets between now and then, or a basic unwillingness to include what the Pelicans actually covet, what things look like today may not be what things look like when Boston is available to engage in a trade. All these things hurt the Pelicans, make Boston an even murkier trade partner, and (potentially) elevate the Lakers position. Beyond that, though, the Lakers know that Davis has made it clear through back channels and indirectly through those close to him that the Celtics are not a desired long term landing spot. Turning the Celtics into a real rental option, however, is going to be dependent on the Lakers ability to sign Davis in free agency in the summer of 2020. Without that threat, the idea that Davis could simply “walk to the Lakers” loses steam quickly. So, how can the Lakers remain a viable option to sign Davis in 2020? Is it even possible? Before we get to that, a quick aside that is also meaningful. The Lakers want to compete for a championship now. The idea that they’d “punt” on another season of LeBron to hold cap space for another summer — and do it all voluntarily — is laughable. 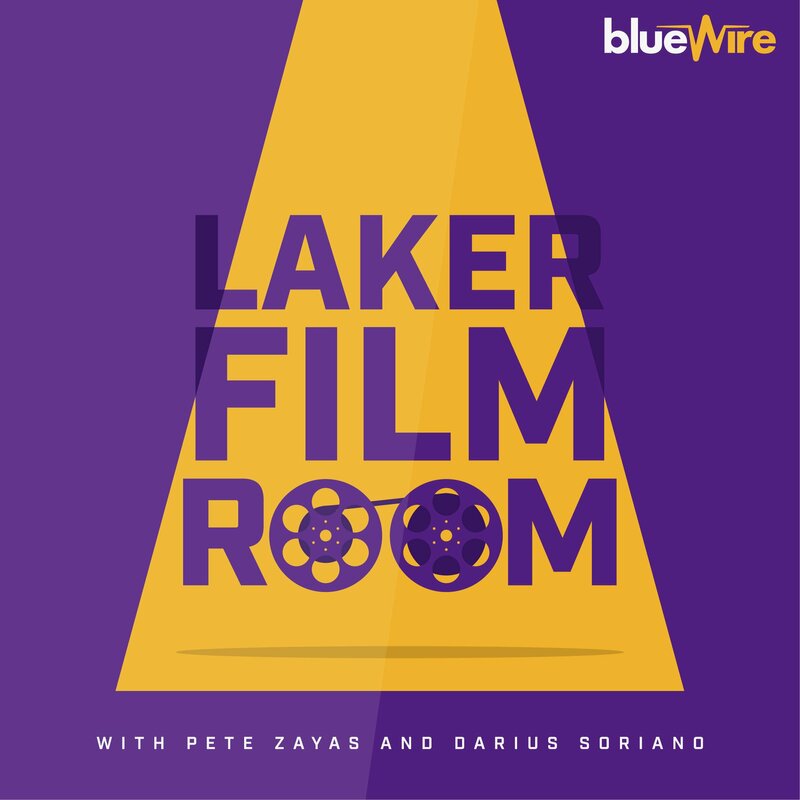 So, the assumption is that the Lakers are going to need to be a player in the 2019 summer free agency period to build a potential contender around LeBron, Free Agent X, and the young players the Lakers still have (you remember them, right?). So, the first piece of this equation is the Lakers finding a star quality player to take their money. Remember, the Lakers stretched Luol Deng — and got him to take less money in the process — in order to generate a max salary slot this summer. While the Lakers have pursued Davis with the gas pedal to the floor, LeBron now + a max player in free agency has always been the plan. The Lakers have enough space to chase a 35% max player (i.e. Durant), but for the purpose of this exercise, we’re going to have them chasing a 30% max player (i.e. Kyrie, Kawhi Leonard, Klay Thompson, DeMarcus Cousins, Kemba Walker, or Jimmy Butler). This is super important. The Lakers need one of these guys to sign on, not only because of this exercise we’re going through, but because this was always the plan. The Lakers need to find a way for someone to step into the fold and, I’d argue, that would be the case even if the team traded for Davis. Of course it would be easier to recruit a 3rd star to add to a LeBron/Davis duo, but life is rarely easy. With that important caveat out of the way, can the Lakers pursue Davis in 2020? Yes. Well, actually, yes but with some disclaimers. I reached out to The Athletic’s Danny Leroux (you should read Danny by subscribing to the Athletic and follow him on twitter too) to crunch some numbers for me regarding the salary cap and maximum salary space for the summer of 2019 and 2020. Below are some important numbers to hang onto. Thanks to Danny for pulling these for me. I owe him a Bakesale Betty Fried Chicken Sandwich. In the summer of 2020 LeBron will have a cap hit of $39,219,565 million, Free Agent X who signed a 30% max deal in 2019 will make $34,335,000 million, and Luol Deng will be on the books for $5 million. That combines to $78,554,565. The cap holds for empty roster spots will be $8.7 million. The total cap holds for LeBron, Free Agent X, Deng, and the empty roster spots will be $87,295,680 million, leaving $30,704,320 in cap space. Based on a $118 million salary cap, the max salary slots start at $29.5 million (25%), $35.4 million (30%), and $41.3 million (35%). In the summer of 2020, Anthony Davis will be a 30% max player (8-9 years of service), but will almost certainly be eligible for a Designated Player contract which could pay him at a 35% max salary level. Davis would need to accept taking less than his max salary. At the 30% level, he’d be giving up roughly $4.7 million in the first year of his deal. At the 35% level, he’d be giving roughly $10.6 million in the first year of the deal. The Lakers would need to strip down their roster to its bare bones in order to create this salary cap space and, again, it wouldn’t even be the max available to Davis. In terms of point #2, the Lakers would likely have little problem selling off most their young players for future assets***. Regardless of what the league-wide perception of the Lakers talent is, giving away semi-good to really good players is rarely a problem. This is especially true for players still playing on their rookie scale contracts. In the summer of 2020 Lonzo, Hart, and Kuzma would be extension eligible, but would be a full season away from being restricted free agents. Trading them at that point presents some risk to the acquiring team, but also potential long term control since they’d be able to match any contract offer the following summer. Moe Wagner and Isaac Bonga would be two full years away from being RFA’s. Brandon Ingram, however, would be a different scenario: he’d either have to be have his qualifying offer revoked or be signed and traded. The former means he’d be lost for nothing — similar to how the Pistons let KCP walk to the Lakers. The latter would require Ingram agreeing to a trade and do so with a team that met the Lakers need of not receiving any money back in a deal. That’s a fine line to walk. All of that is possible, though. Which brings us to Davis and taking less money. Davis is already forfeiting a huge chunk of money by asking for a trade from the Pelicans. Not only can the Pelicans offer Davis a 5th year in free agency, but they can offer him larger annual raises via his Bird Rights. Total contract value that Davis is leaving on the table by departing the Pelicans is in the multiples of tens of millions. On the one hand, then, you can argue that Davis is already showing a willingness to give up money to play where he wants, so that could mean he’d be willing to do it again! On the other hand, when you’ve already given up so much, giving up that much more is an incredibly hard ask. There’s also the the simple ego portion this: Davis is a max player and would be joining a team that (in this example) already has two other players making their max on it. Would Davis really take less when no one else on the roster is? On the other hand, there is the potential for some maneuvering here. If the 30% max player the Lakers chased in 2019 didn’t take his max, that leaves money on the table. If Davis has escalators in any endorsement contracts tied to being in a big city or if playing for the Lakers offers him endorsement opportunities which would not exist in other markets, he might be able to make up some of the salary he’d be giving up via other avenues. There’s also the potential that Davis, like LeBron did in his return to the Cavs and Kevin Durant did when he signed with the Warriors, takes short contracts (either a 1+1 or a 2+1 deal, and probably the latter). This would allow Davis to sync up his 10-years of service with establishing Bird Rights with the Lakers and ultimately get back on his true earning track as quickly as possible. I won’t pretend to know if anything I just said about Davis’ options would be appealing to him. And even if that was the case today, who’s to say it would be that way nearly 18 months from now. But all of those scenarios offer a major test and would be a (maybe unprecedented) example of market desires driving decision making more than on court salary. Ultimately, as the saying goes, “anything is possible” and you can’t entirely rule a Lakers run at Davis in 2020 out. There is a path to getting him, it’s just one wrought with moving parts and variables that could throw everything off-kilter quickly. As I said above, though, life is rarely easy. Especially in situations where stakes are so high. ***This might be simple logistically, but it would be hard as hell emotionally. As fans we make investments in all the players, but I think that investment is especially large when it comes to young guys who have shown a certain baseline of talent and skill which makes them potential star level players. No one can ever know for sure whether young players will hit their ceilings and become what we think they can be, but rooting for them to get there is one of the best experiences a fan can have in my opinion. I would hate to see the young players go, and it would be especially hard to just cast them off as giveaways to open up cap space. I just wanted to make that point clear.